YouTube is taking strides to clamp down on ‘dislike mobs’ — in which viewers target a video by disliking en masse in order to make a statement of sorts. 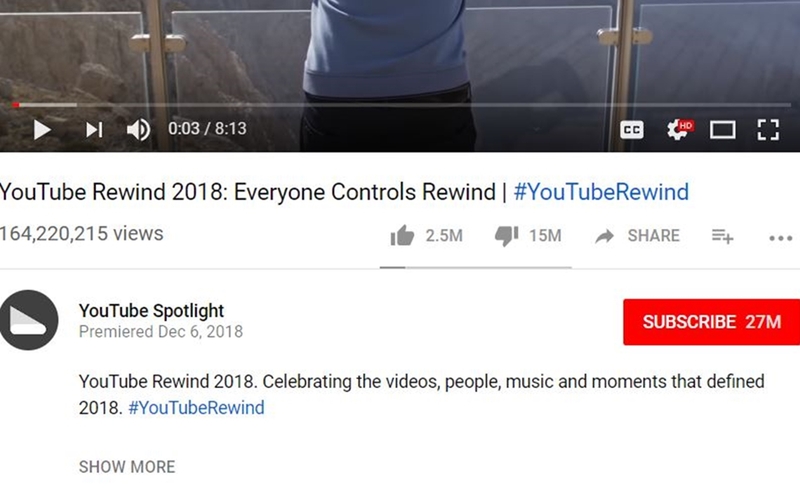 YouTube is no stranger to massively-disliked videos itself — though its most recent Rewind compilation, which is the most-disliked video in YouTube history, seemed to generate genuine concerns that didn’t appear to be the result of a vindictive mob. In a new update on its Creator Insider channel (see below), YouTube executive Tom Leung says that the company is testing new ways to combat dislike mobs. YouTube has one fix that is already live, he notes — the ability to turn off the display for ‘likes’ and ‘dislikes’, which is on by default. (Notably, this doesn’t prevent viewers from being able to like or dislike a video, which could impact its recommendation prospects. It just means that counts aren’t displayed). Going forward, Cheung says, the company may consider turning the like/dislike display off by default — though he questions whether creators would invite that change, given that a positively-rated video can be a boon for viewership. Another proposition that the company is weighing would require viewers to give some sort of explanation as to why they are down-voting a video — in the form of a check-box survey that would pop up and provide different response options. While this would inevitably add friction for viewers and could be challenging for YouTube to implement, Cheung acknowledges that it would arm creators with more information. In the comments section of the video, notes The Verge, many creators suggested that the ability to dislike should be somehow linked to watch time — for instance, proposing that viewers not be able to dislike until a video has been consumed by 25% or 50%.